Huawei announced its Mate 10 series back in October 2017 and ended some rumors about eventual renaming of its flagship Mate X. The moniker appeared again during the weekend in an application on the EU Intellectual Property Office website. 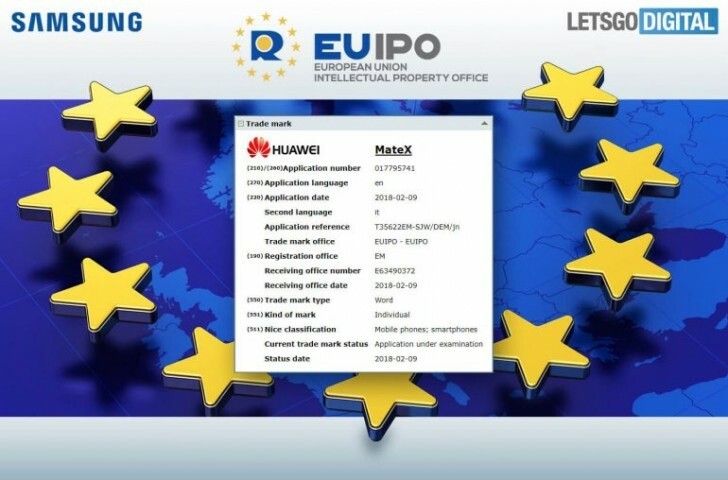 The trademark “MateX” was filed by UK representative of Huawei and was classified as mobile phones and smartphones. Trademarking the Mate X moniker is a surprising decision if Huawei plans to launch its next phone with that name since the Roman number for 10 is X. It could also be the name of some exclusive or extra version of the phablet. Most likely though, the company is just protecting itself from ill-meaning competitors, who may try and sell knock-off products with similar name. Huawei already has an X in its portfolio - the Matebook X is the manufacturer’s interpretation of Apple’s MacBook, announced back in May 2017.